Note: Now every Radio Submission has the opportunity to be Voted in our Weekly Ranking, yes we're talking about the highly favored "#Top20Countdown"!!! The Highest Viewed show of the week, The higher you rank the bigger the Publicity. 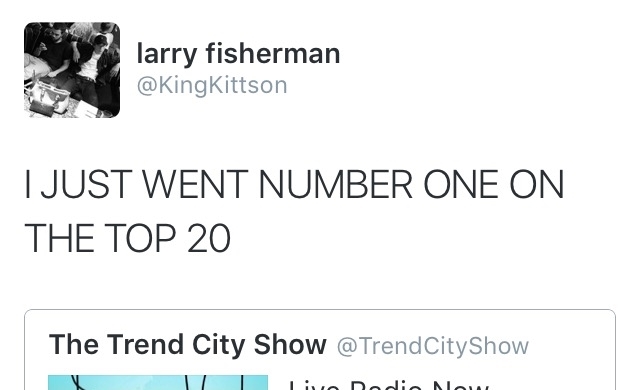 Number 1 enters our Trend City "HALL OF FAME". 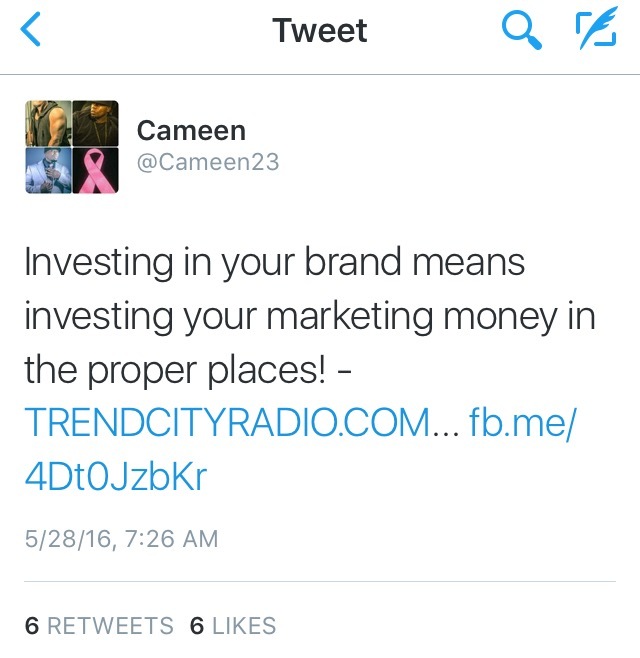 We provide Indie Artist with a limited Budget the oppurtunity to invest in their craft & be heard around the world. Starting package is the same price as Cheese Pizza! Add Twitter & Song Name! First make your payment by clicking on the "Buy Now" button, then send us your Single via Mp3/SoundCloud/YouTube (only). 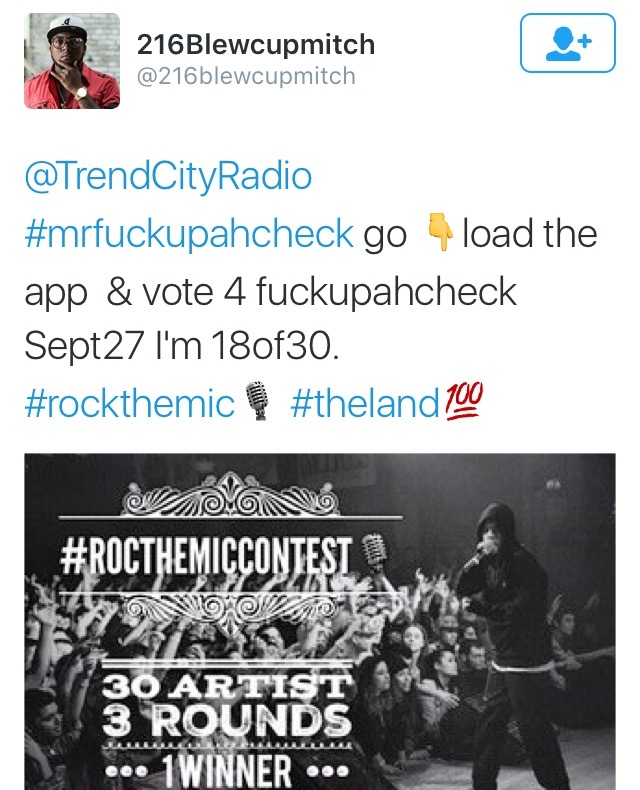 Once our DJ's review your Music, we will respond to your email (allow up to 24hrs). Based on your music genre we will select which live show best benefit you most. We keep our prices very affordable so every Artist has the opportunity to be heard. 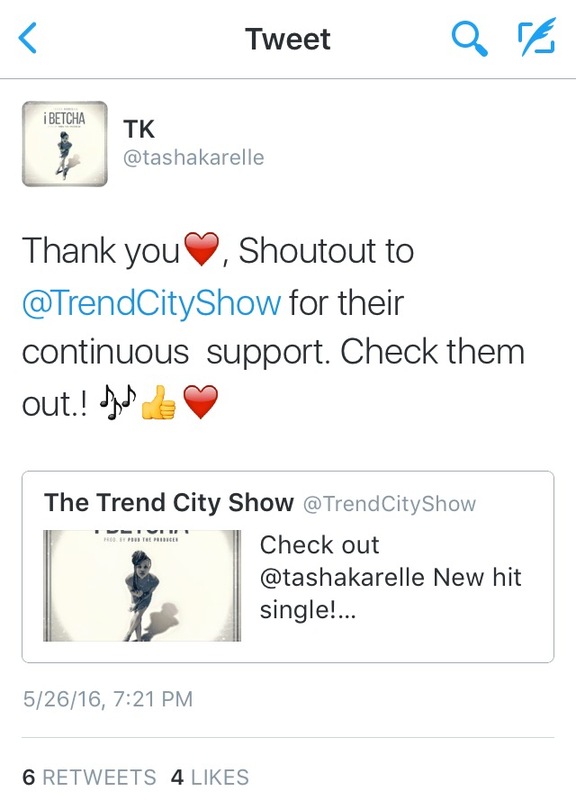 - your single on Trend City Radio Live Show for 2 weeks. 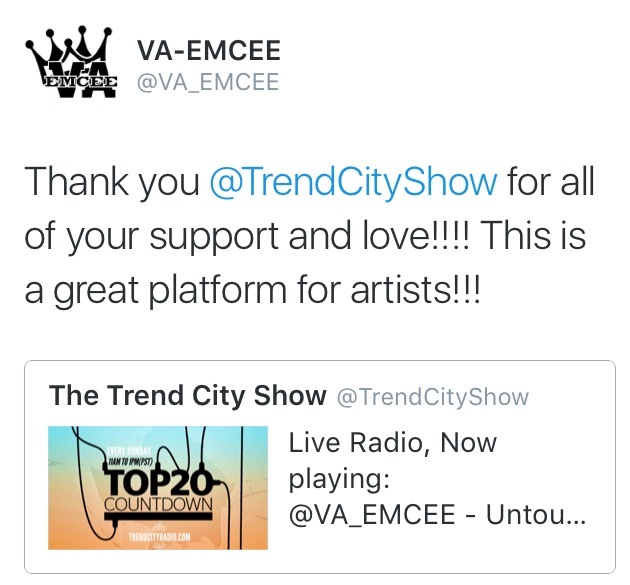 - We Promote you & your song via Twitter the Exact moment it is playing Live on our Radio Station. 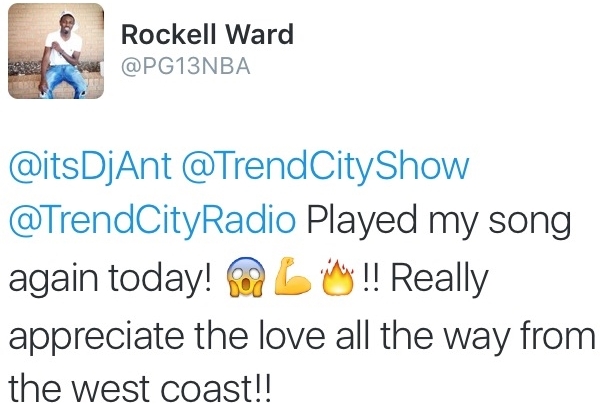 - your single on Trend City Radio Live Show for 4 weeks. 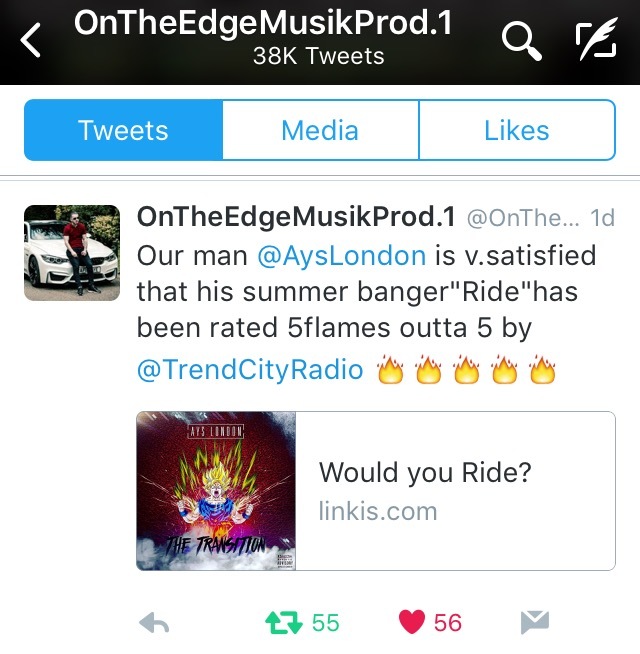 - Your music gets Advertised on our website, under the "AD's" section. We upload your custom cover art which will direct traffic to a link of your choosing. 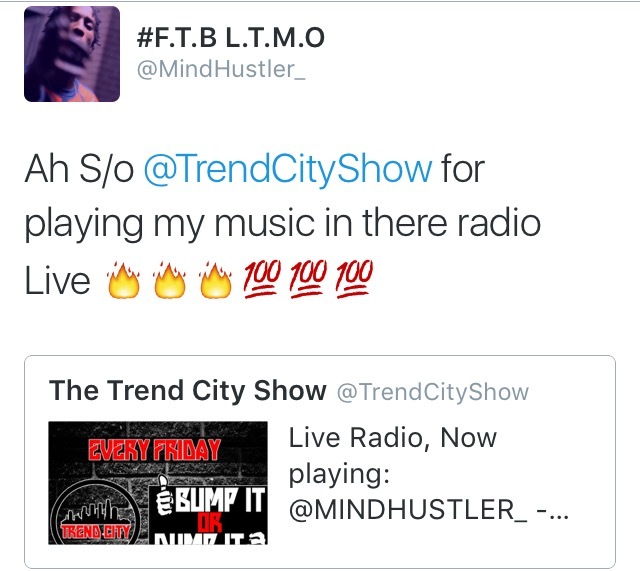 - We blast your Single on our Twitter/Instagram/Facebook, EVERY MONDAY for 4 weeks Straight! Do you have a Single & would like our staff of DJs to do a written review on your Music? & Post it on our Website FOREVER? Well now you can! All written reviews will include a Flame Rating between 1-5, with 5 being the Best of the Best. 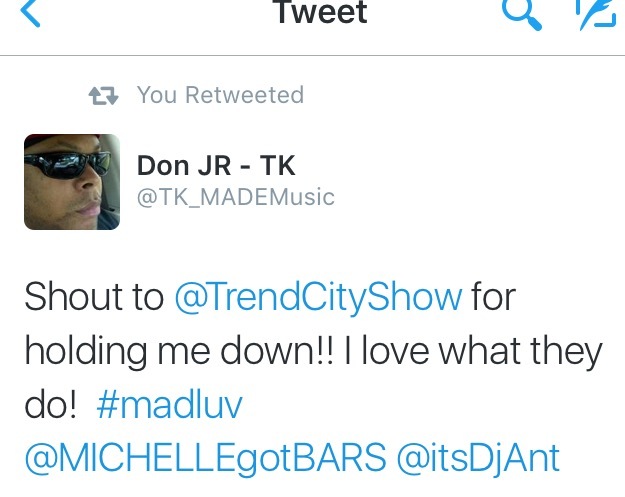 Trend City will also be sharing your written review on all Major Social Media outlets. Fill out the submission form to get started Now!